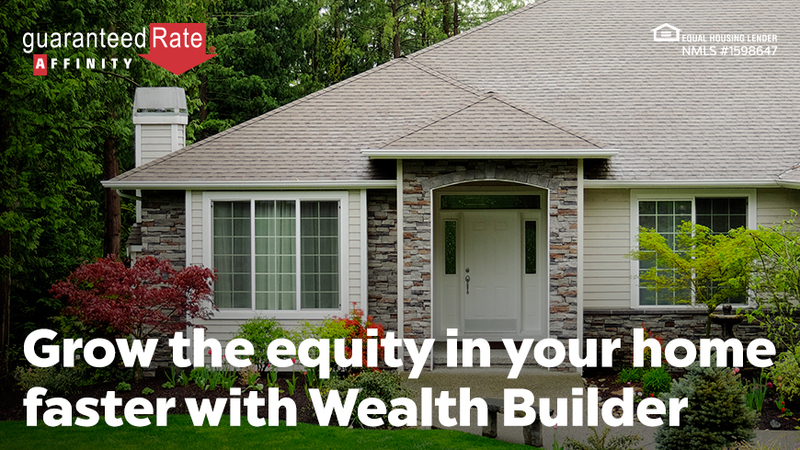 Grow the equity in your home faster with a shorter loan term. Applicant subject to credit and underwriting approval. Not all applicants will be approved for financing. Receipt of application does not represent an approval for financing or interest rate guarantee. Restrictions may apply, contact Guaranteed Rate Affinity for current rates and for more information. Not available in AK, HI, NY, or WA. Not all applicants will be approved for financing. Receipt of application does not represent an approval for financing or interest rate guarantee.